We welcome you in our store. Here you can find beautiful textiles to decorate your home, office or cottage. You can choose gifts for friends or your family and learn about the world of handmade silk embroidery of Central Asia masters. 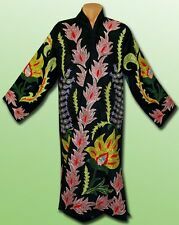 In addition, the collectors of textiles may be pleasantly surprised by fascinating items of national art. Please add me to your list of favorite sellers and visit often. Thank you for your business.